First of all, I absolutely adore the packaging, sophisticated and yet gorgeously girly and summery. When I first tried this perfume I immediately picked up on the orange blossom first and then the musk. It’s definitely a warm, feminine fragrance and lovely and light – as the name says, it really is perfect for summer. 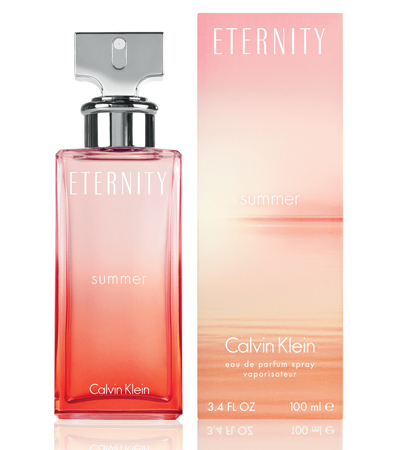 If you like the original ‘Eternity’ then this is the perfect scent for you to switch it up for summer, its more fruity and floral and the balance between the two is perfect. I have never been a fan of overly floral scents and like the fact that this one has just a hint. I’m completely in love with it! New Reviews/Swatches/Product first impressions coming up! It’s rainy outside so I made a rainbow look just to brighten things up a bit 🙂 All eyeshadows used are by MAC. 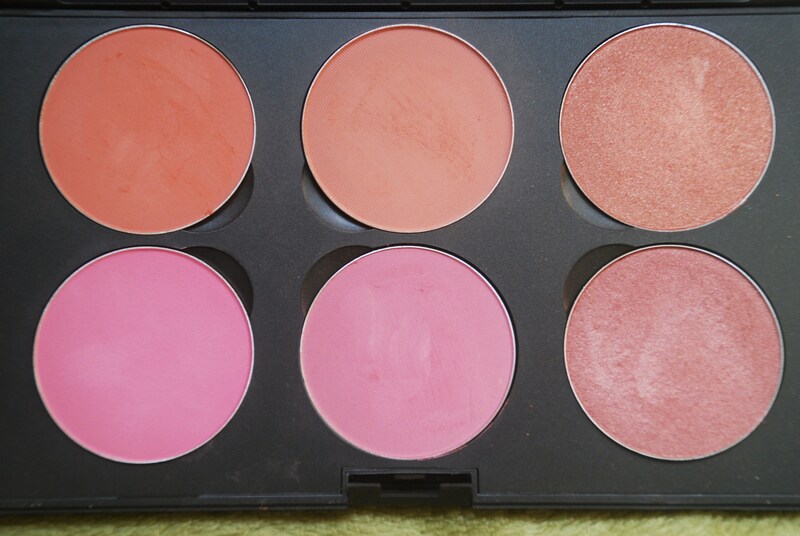 What’s in my MAC blush palette? PEACHES: A true peach colour in MAC’s sheertone finish. MELBA: A soft coral peach colour, softer than Peaches and with a tiny hint of pink. This has a matte finish. PEACHTWIST: This is one of MAC’s sheertone shimmer colours, it’s a deeper shimmery peach shade. PINK SWOON: A true bright pink shade in MAC’s sheertone finish. PINCH O’ PEACH: Another sheertone shade, this colour is more pink than peach but softer and more wearable than Pink Swoon. PLUM FOOLERY: A wearable, shimmery, pinked plum shade in a sheertone shimmer finish. So, if you’ve seen my post about the MAC Hey, Sailor collection haul then you will be aware that the highlighting powder called ‘Crew’ was something that I purchased. Now, at first glance I had written that I thought the off white colour was the main colour and the the stripes in peach, pink and lilac were an overspray. This is NOT the case at all! As you can see in the image, it is in fact the off white colour that was an overspray! 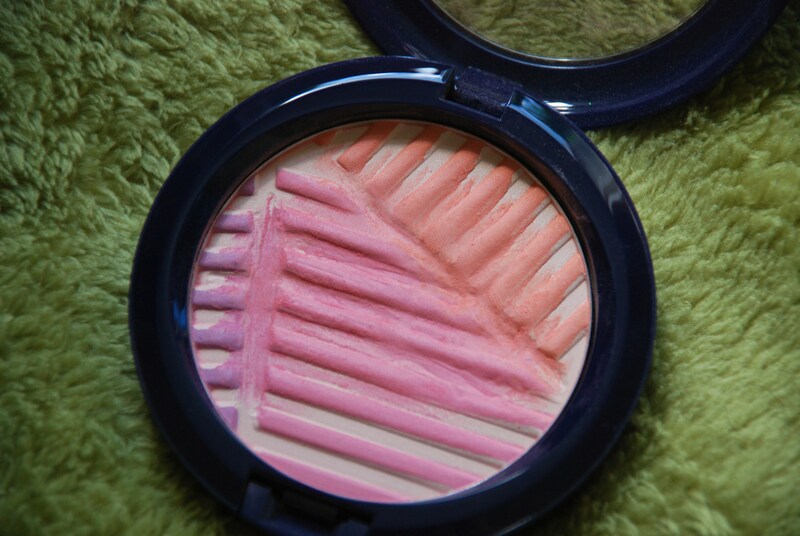 Now, I like this product, I continue to use it but it is NOT appropriate as a highlighting powder. Its a gorgeous soft pink with a hint of peach (the purple doesn’t have much of an effect on the overall colour as the pink is dominant) and is ideal as a blusher, I have no idea why MAC has categorised this as a highlighting powder but nonetheless its lovely as a blusher, especially if you’re quite fair skinned. A light weight foundation perfect for the ‘no foundation’ foundation girl. Like a tinted moisturiser but better coverage. 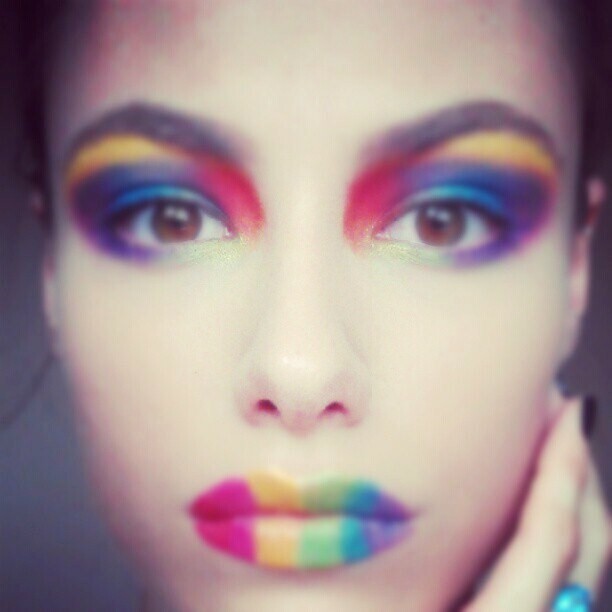 I am the first to admit that I am a full face of make up kind of girl without the need for a full face of make up. I have good skin, no dark circles and only occasionally a small breakout generally in my t-zone where I am likely to get oily. I have combination skin – an oilier t-zone and dryer cheeks. I had finally been convinced by a great make up artist I had been working with that I should change my foundation to a lighter one and so she recommended Estee Lauder. What she had suggested was actually their tinted moisturiser, I, however was not completely comfortable with this idea and explained this to the lovely lady at the counter when I went in that weekend. She suggested I try the invisible fluid makeup instead and actually did my whole face as I had brazenly gone in without a scrap of make up on. I was very impressed with how good the foundation felt on my skin, how light it was and that it was ever so slightly mattifying without making my skin look dry or chalky. After purchasing the foundation and playing around with it at home I found that I like to use a normal foundation brush to apply it or lately, the Real Techniques buffing brush for a nice even coverage. The base delivers a lightweight, slightly mattifying finish that evens out my skin beautifully without masking it. The fluid formula reminds me of Chanel’s Vitalumiere Aqua. The bottle needs a thorough shake to mix the formula before application and contains a small ball bearing to help with this. 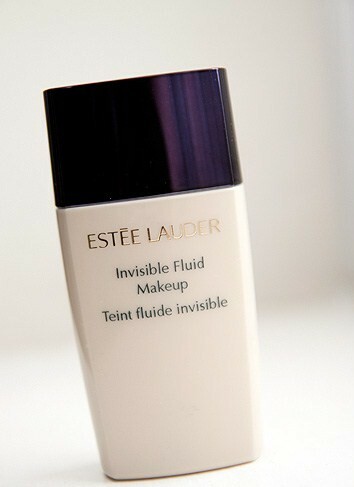 Unlike the Chanel, and despite its mattifying features the Invisible Fluid Makeup gives my skin a brightness to it. The wear on this foundation is good too, I didn’t have to use a tonne and it stayed put all day with it only waning a little around the sides of my nose . I also loved the fact that unlike most of Estee Lauder’s products, this one is completely unscented which I was surprised at. All in all this is a lovely foundation for people with fairly good skin, those who suffer with blemishes may not find the coverage is enough and I would imagine that this foundation is also less suited to those with dry skin due to the mattifying effects. I believe this retails for £27.00 so it is pricey but then it’s a premium brand. I do really rate it though if you like a more natural look without feeling a little bare with just a tinted moisturiser. I would totally repurchase this and have to say, I was definitely a full coverage kind of girl, but now, especially for summer when there’s a risk of your perfectly applied full coverage foundation sliding off your face, I’m in love with this foundation and think it’s well worth the investment.